According to my Understanding Normal and Clinical Nutrition book, if you live for 65 years or longer, you will have consumed more than 70,000 meals and disposed of 50 tons of food. Yikes, that’s a lot of food. Okay—one ton is 2000 pounds. In that case, the average (whatever average means) person consumes 100,000 pounds of food in 65 years (give or take a few pounds). So, 500,000 pounds of food would keep 5 people nourished for 65 years. Very cool. 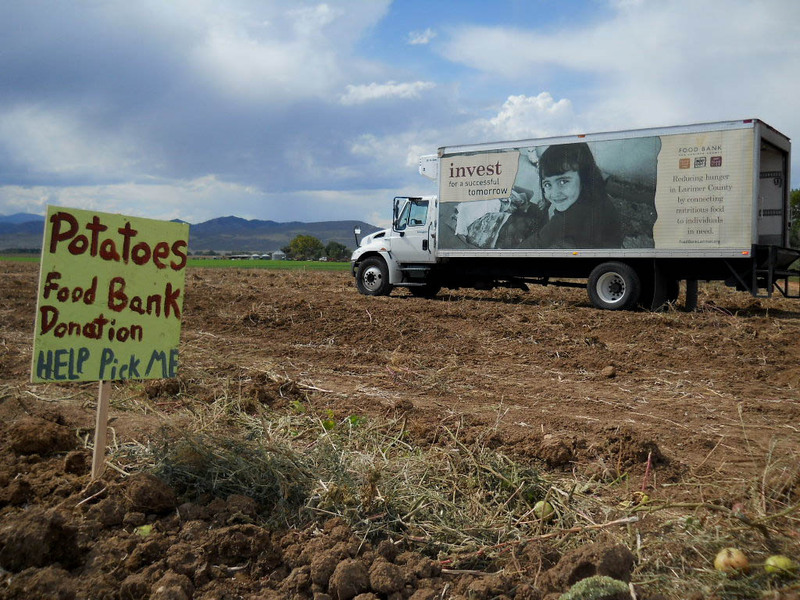 Andy Grant (hard-working farmer, soil scientist, and plant guru) and Grant Family Farms (my organic CSA) donated almost 500,000 pounds of fresh food to the community last year via several food banks in Colorado and Wyoming. Over the past few years, Andy and the gang have donated over 2,000,000 pounds of food (you read that right—6 zeros). They even shipped food to communities in need after hurricane Katrina. That’s how it’s done. People helping people. Andy hates to toot his own horn, so I’ll toot it for him. I’m so impressed (and humbled) at how hard the folks at Grant Family Farms work to support the community and I’m over-the-top grateful to have their organically grown, local food grace my table and boost my health. Join a CSA and help support this grass roots movement to reclaim our food supply. It starts at home. 1. Heat oven to 375 degrees. 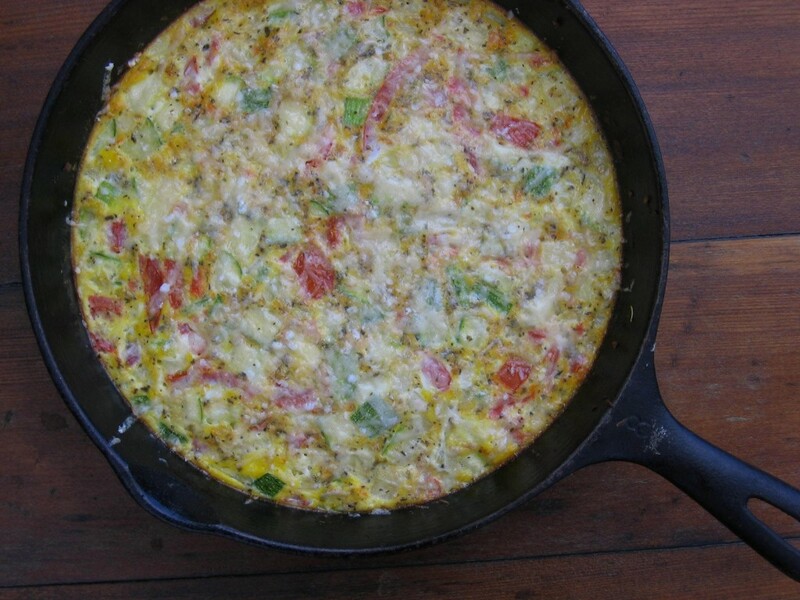 In a heavy skillet (I use a cast iron skillet to prepare and bake the frittata in), heat the butter over low-medium heat. Make sure you coat the bottom and sides of the skillet with butter. Sauté onions for about 5 minutes. Add garlic, stir and cook another 2 to 3 minutes. 2. Add the squash and continue cooking for about 5 more minutes. Don’t let the veggies burn, cook until slightly tender. Remove from heat. Add chopped tomatoes, spinach, and herbs. Mix well. 3. Pour eggs over top and gently stir to blend ingredients. 4. Place skillet on center rack of preheated oven and cook for 15 minutes. Remove from oven, sprinkle with Parmesan cheese and return to oven for an additional 5 to 7 minutes until eggs are firm and top is slightly browned. 5. Season with sea salt and freshly ground pepper. Serve immediately. For more information about Andy Grant and why we need to support our local farmers, please watch this short video. Yes, you are Andy, and I love you for it! Peace, joy, and farm-fresh veggies!